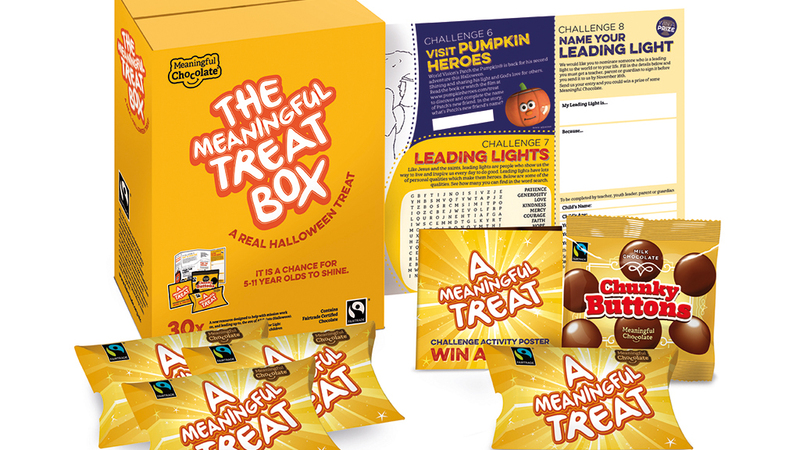 The 2018 Meaningful Treat Pack will be available at CRE, with the eve of All Saints – or Halloween – in mind. Building on the success of last year’s initiative, the pack has a new challenge activity poster to help young people focus on being a hero and a light in the world. There is also a bag of Swiss Fairtrade milk chocolate buttons in every pack. The activity poster, which can be used in groups or at home, has eight challenges which include picture puzzles, a word search, a call to buy Fairtrade, say a prayer and leading light competition with a prize.